Get Approved for Life Insurance with a Felony! In the following article we will address how to get life insurance with a prior felony on your record. If you have been struggling to find life insurance due to a past felony please email us at info@termlife2go with some details so we can try and connect you to a carrier that is more lenient when it comes to felonies. Life Insurance With a Felony. Do you have a felony on your record? Have you been denied life insurance because of a felony? If the answer to either question is yes, then give us a call now. Still not convinced? Then you need to keep reading because you can get life insurance even if you have had a felony. The key is how long you have been out of jail and off parole. In most cases you will need to have been out of jail and finished with any parole or probation for at least a year before a life insurance company will consider you for a typical life insurance policy. We will get into the specifics below. Getting Life Insurance with a Felony. Most, if not all, life insurance companies are going to ask if an applicant has a criminal history — especially if you are applying for traditional Term or Whole life coverage. There really isn’t much we can do about that! What TermLife2Go can do for you is understand which felony friendly life insurance company will be the most lenient when it comes to looking at felony charges. Not all Insurance Carriers are the same! Let’s face it, most felony charges nowadays are going to center around drugs and alcohol. As you can see by reviewing the top 5 reasons for receiving a felony, drugs and alcohol related crimes are right there on top and probably also play a role in the other felonies as well. …Insurance companies don’t want to find themselves insuring someone who runs the risk of being sent to prison. Ironically, with crimes that may involve assault, larceny and vandalism, the insurance industry doesn’t view them as high of a risk as those involving drugs and alcohol. For these applicants dealing with felonies other than drug and alcohol related, getting insured isn’t as difficult. The key is knowing who to apply with so that these clients are able to secure the best rate. However, for those clients applying for life insurance with a felony linked to either drugs or alcohol, knowing which carrier to choose will mean the difference between getting approved or being denied life insurance coverage altogether. The good news is that not all insurance carriers use the same underwriting guidelines when determining who they will and won’t insure. So be sure you choose wisely from the start because the life insurance carrier you choose is the most important decision you can make. 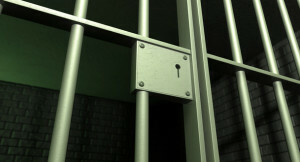 Not sure what company to get life insurance with a felony conviction with? That is what we are here for…call TermLife2Go today! What felonies will preclude someone from getting life insurance? Drug Related Felonies and Life Insurance. If you’ve already been denied life insurance due to felony possession of drugs or due to intent to sell or the manufacture of narcotics (which are the most common charges for drug possession), it may not mean that you’re totally “uninsurable”. In fact, you may actually be insurable but you may have tried to get coverage with the wrong insurance carrier. Was there any jail time served? How long we you incarcerated? How long ago was the felony? Was there a parole/probation period? When did your parole/probation end? The key is how long ago and the type of drug related felony. Possession of marijuana is not going to be frowned upon as highly as possession of cocaine or heroin. Also, possession is not going to be frowned upon as much as the trafficking or distribution of narcotics will be. Basically, the farther away you are from the felony and the type of felony you were convicted of will have a huge impact on if you can get life insurance and what the price tag will be. Getting approved for life insurance with a drug felony on your record typically isn’t going to be easy, but knowing which carrier to choose so that you have a chance at being approved is much better than the alternative, which is1) either going without coverage or 2) moving forward with an Accidental Death Policy (ADD) or 3) Choosing final expense life insurance. Many companies promote accidental deaths policy as an alternative to traditional coverage. However, an ADD policy is not life insurance. It only covers accidents and does not cover sickness, such as cancer, heart disease, diabetes, or stroke. Alcohol related felonies usually revolve around driving while under the influence or some type of violent act such as assault and/or battery. In either case, life insurance companies are going to require that you wait at least two years since the felony and or end of probation before being eligible for life insurance. If it has been two years and you have been declined or postponed for life insurance don’t just assume that you are completely out of luck, because that simply may not be the case. Why is it so hard to get life insurance with a Felony? That’s a tough question. It’s probably because these policies are generally going to require your insurance agent to do a lot more work to get you approved. So if you’re only applying for a $100,000 or $250,000 policy, it may just make more “financial” sense for the “agency” to offer you an accidental death policy rather than go through all the necessary underwriting steps to get you approved for a traditional life insurance policy. After all, if you’re calling into one of the larger nationwide agencies out there that operates as a call center, your application will generally be considered “a high risk application”, meaning that your application is less likely to go in force as opposed to someone who is young, healthy and isn’t applying for life insurance with a felony. For this reason, its usually easier to recommend an accidental death policy that doesn’t ask any questions regarding criminal history and then move on to the next client rather than take on the challenge of getting you approved for life insurance with a felony on your record. Since we at TermLife2Go already specialize in these harder to place cases, we know that when done right, helping those who have felonies on their record qualify for life insurance really isn’t that difficult or time consuming if you know what to do and where to look. In fact, we love helping individuals obtain life insurance who were previously told they could not qualify, because when we succeed, we gain a loyal client for life! Or a Guaranteed Issue Policy. Is also the fact that it’s not easy for a convicted felon to find a job and generate an income which will often be used to help justify the “financial need” for being able to qualify for term or whole life insurance policy. We’ve also chosen to write two additional articles which we hope might help those out there that are looking for a way to supplement their current income. And The Best Money Making Apps. Who knows, but our ultimate goal here at TermLife2Go is to help improve the financial security of our clients so it is our hope that these articles including this current article helps you do this. You’ve check out our Life Insurance Quotes page take a look at these other articles and see if there might be something that will work for you! My sister in law has had felonies for drug abuse were trying to find a insurance for her and we have no clue where to start. Just give us a call and we’ll see what she can qualify for. We’d be happy to help you out in that effort, just give us a call when you have a chance. My son has been denied for a felony charge by Global Life. Trying to get insurance. We would need to know more before we could know for sure if your son will be able to qualify. Why don’t you give us a call when you have a chance and we’ll do our best to help you out. We would love to try, but first we would need to speak with her. Just have her give us a call when she has a chance. 28 yr old with a robbery conviction. has been out for 2 yrs. are any carriers going to help him? Two years since a felony conviction is when we have found that several life insurance companies will begin to consider an individual for insurance. That said however, the “applicant” would need to be off of probation and usually only have one felony or one misdemeanor on their record. In cases like these, we usually like to have the “applicant” give us a call directly so that we can ask some additional questions in order to determine eligibility. Could you all find a policy for a current inmate? Unfortunately, we are unaware of any life insurance company that will accept a life insurance application from a currently imprisoned inmate. Sorry we couldn’t be more helpful. We would need to know how much coverage you were looking for before we would know if we’d be able to help out your friend. For this reason, why don’t you just give us a call when you have a chance and we’ll do our best to help you out. I have a client that has a felony & I’m looking to see if it’s possible to get him insured. I’d like to of course get appointed as an agent in order to push application through. Please let me know if you can assist. Thanks! Finding coverage for someone who has a felony can often times be a tricky process, especially if they have already applied elsewhere and have been denied! For this reason, we would suggest that you have your client give us a call and see if we can help him out. You see, because there are so many variables that could come into play when it comes to finding coverage for a “felon”, we simply can’t say “Go apply with Company X”, it’s just not that easy.